Enter below for a chance to win. Good luck! 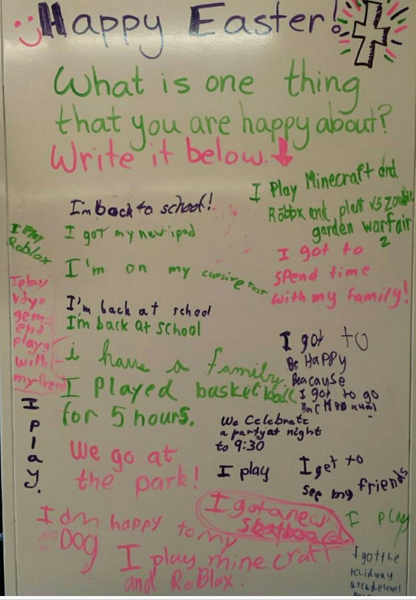 Lately I've been inspired by Miss 5th's whiteboard posts on instagram. Miss 5th makes beautiful whiteboards with using quesitons or instructions for students to respond too. They are always positive and uplifting, which promotes happy classrooms. I know that she also inspires so many other wonderful educators out there who are now making there own incredible whiteboards. 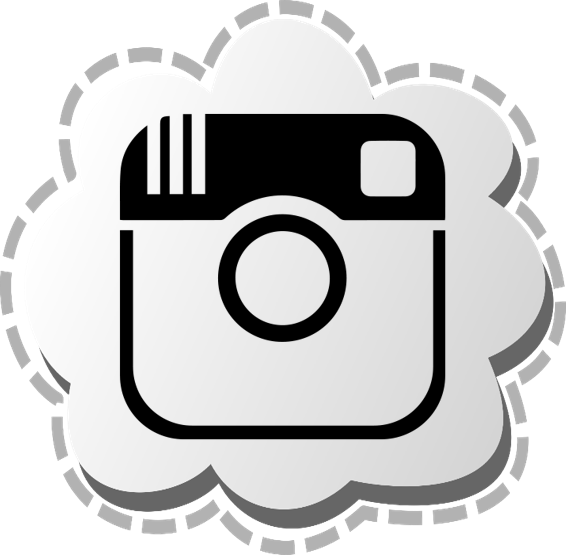 Just check out all of the awesome ones on #miss5thswhiteboards on instagram. Here's my first #wileywhiteboards inspired by Miss 5th to help my kiddos start their day on a positive note. Whatcha reading? Link up and tell me about what you've been reading. 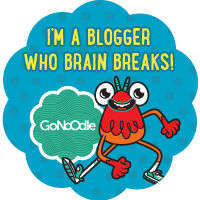 Click here for details on how to link up. 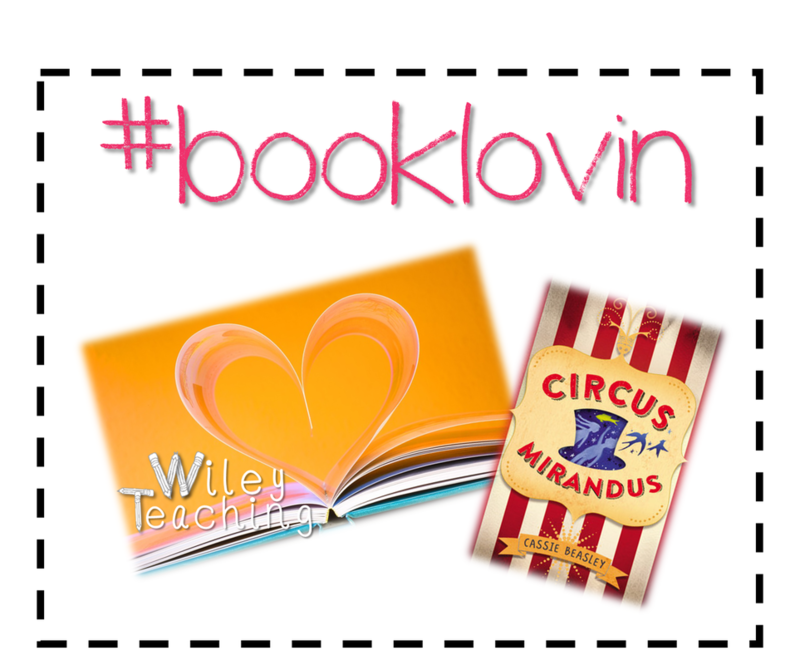 I am book lovin' Circus Mirandus by Cassie Beasley. Fall in love with some charming characters in this magical adventure and go read this book! I have been listening to the audiobook version of this book in my car and I can't say enough how much I love this book. It's up there with The One and Only Ivan, and that says a lot, which if you haven't read either get on it! 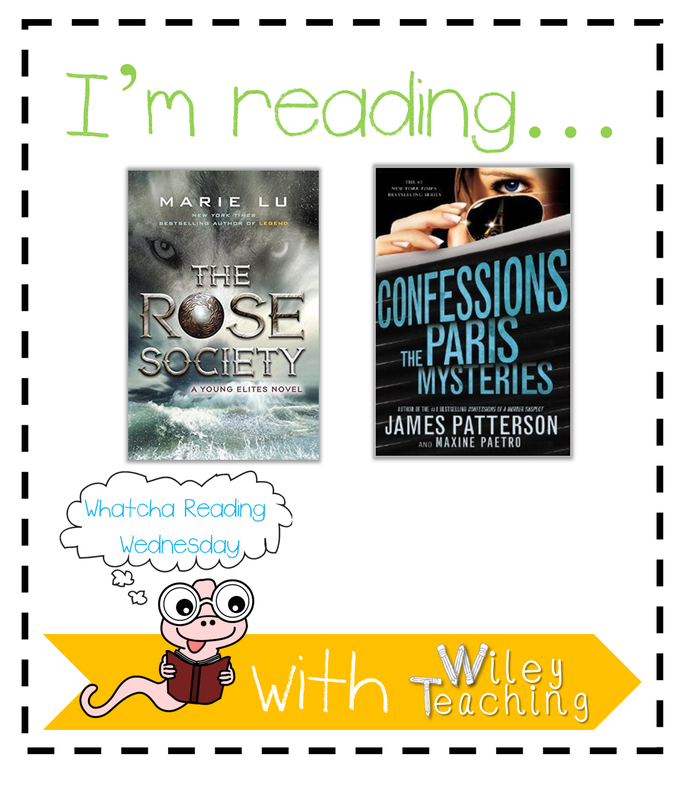 This week I am reading two books. The first one is the second book in The Young Elites series by Marie Lu. I couldn't put the first book, The Young Elites, down and can't wait to get into this next one, The Rose Society. If you loved Marie Lu's Legend series I bet you will love this series too! I love that the main character, Adelina, has a dark side to her. Right now I have The Rose Society on audiobook, so I will start with that until I can get the ebook version from OverDrive. The second book I am reading is Confessions: The Paris Mysteries by James Patterson, which is book three of a four part series. This series is a must read if you enjoy mysteries. The first two books, #1 Confessions of a Murder Suspect and #2 The Private School Murders, were books that I devoured. Time would just fly by as I was absorbed in the world of the Angel family and the murders that surround them. 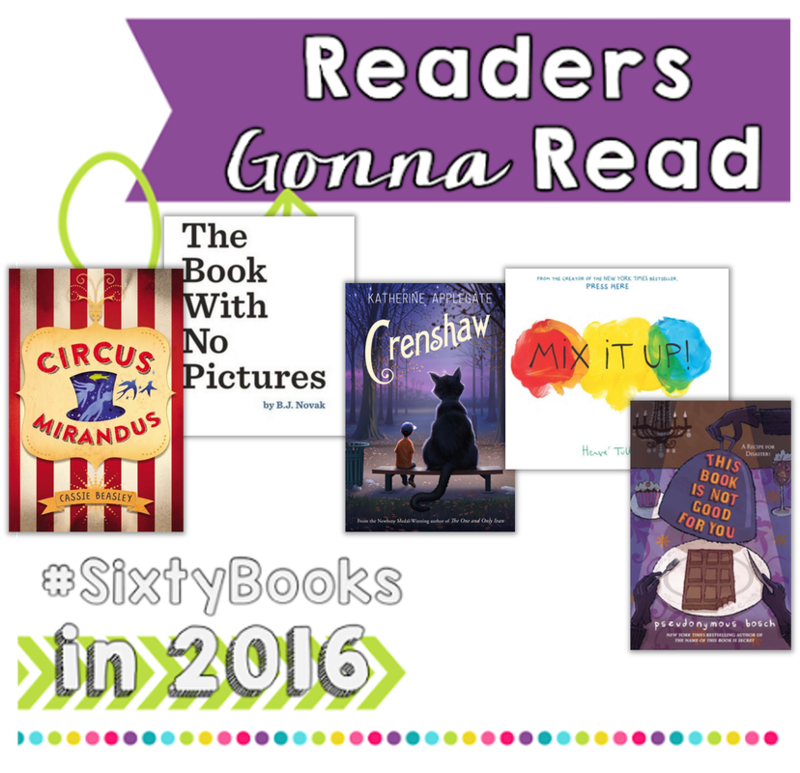 When I saw an instagram post by @msaplusteacher about reading sixty books in 2016 I was intrigued. So I checked out her post on her blog, My Shoe String Life, and decided to give it a try. 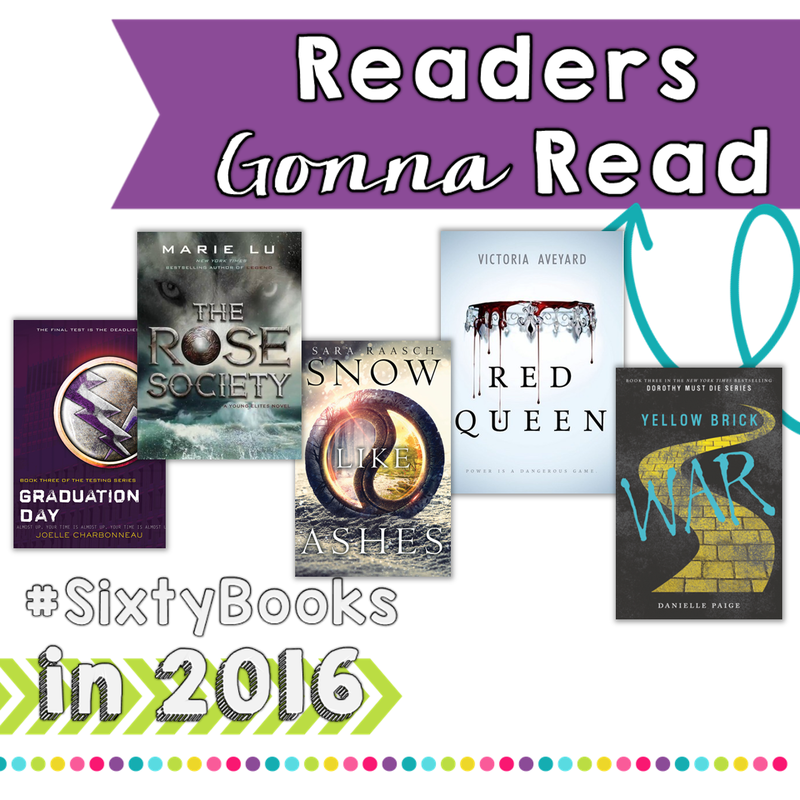 Basically you make a commitment to take time to read everyday and try to read sixty books in 2016. Although I love reading, sixty books is a daunting task. 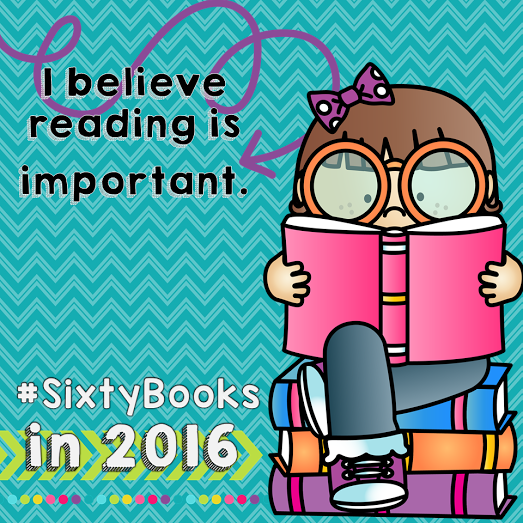 This year I have read 27 books, which is a lot for me, but no where near sixty. 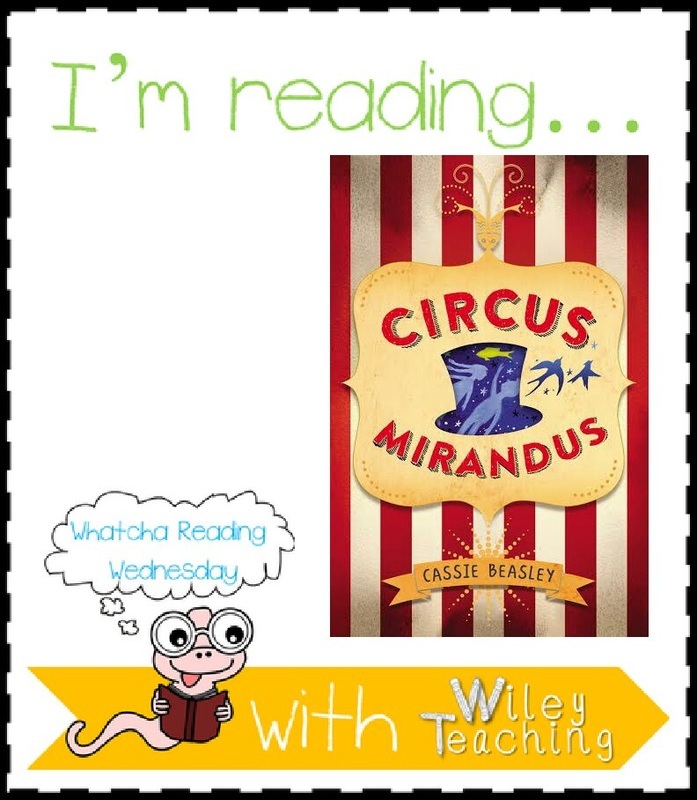 So I decided that I will count both my classroom read alouds and my personal reading. What are some books that you are eager to read? Before the Christmas break I wrapped a bunch of Christmas and winter books up. Each day I randomly picked a student to unwrap our "book present", while the rest of the students drumrolled on their laps. 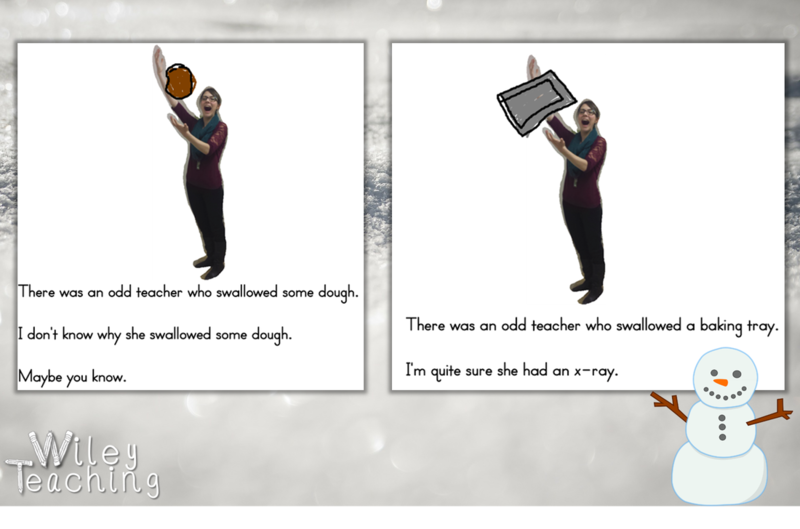 One of the books we unwrapped was "There Was a Cold Lady Who Swallowed Some Snow" by Lucille Colandro. Before reading the book I asked how many students had read the book before. There were about a handful. Then I asked how many were familiar with these kinds of books and almost all of the students raised their hands. As we read the book we kept track of the items she swallowed and would retell our reading partners what the cold lady had swallowed so far. At the end of the partners took turns retelling the story. Then we talked about how the author's craft. We discussed how the author used repetitive phrases and how each of the items that were swallowed helped to create the one large item at the end of the book. Then we went back through the book and to notice how the author used rhyming words. Now that we had our brains thinking like writers, we worked together, using shared writing, to create our own class version of the story. We began by choosing what large item we wanted to create. Students suggested Christmas tree, fancy hot chocolate, gingerbread girl, and gingerbread house. Then we voted. We broke our large item up in the smaller parts that our character would swallow. Then together we created our rough draft. First we filled in the first lines with all of the items our character would swallow. Next, we brainstormed words that would rhyme with the swallowed items. 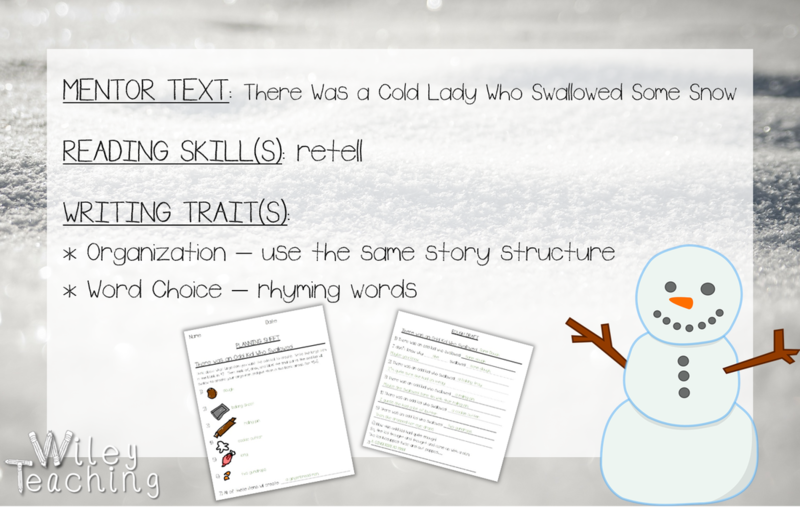 Students brainstormed goofy sentences to use the rhyming words in. Then on my prep, while the students were away at phys. ed, I quickly put together "good copy" of our book. I asked a coworker to take a picture of me and I used my Mimio to draw the items in. Then I put them into pairs to create their own books. I handed out the planning sheet and rough draft for students to start. Most students got the planning page done during our class period. The next class period, students worked with their partner to complete their rough draft. The class periods after that students used white letter paper, cut in half, to create their book pages and construction paper to create their cover. Students really enjoyed working on their books and I can't wait for them to share them with their classmates. ​_Want to try this with your class? 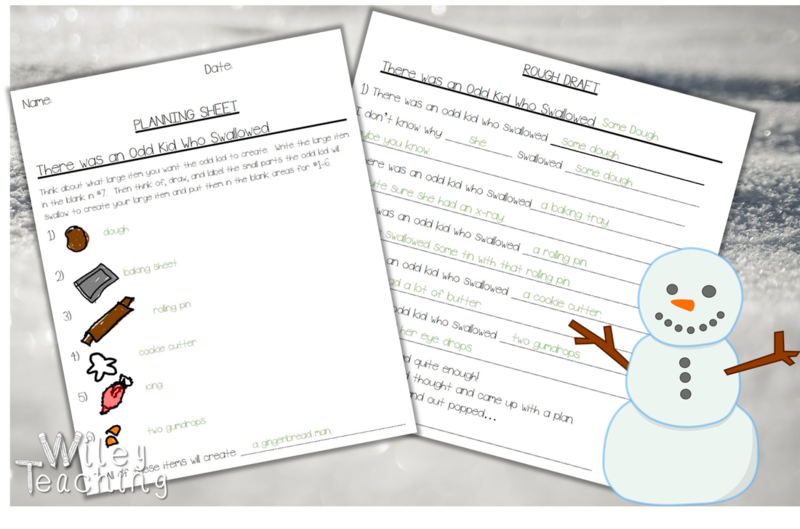 Click here to get a copy of the planning sheet, rough copy sheet and a filled in example. 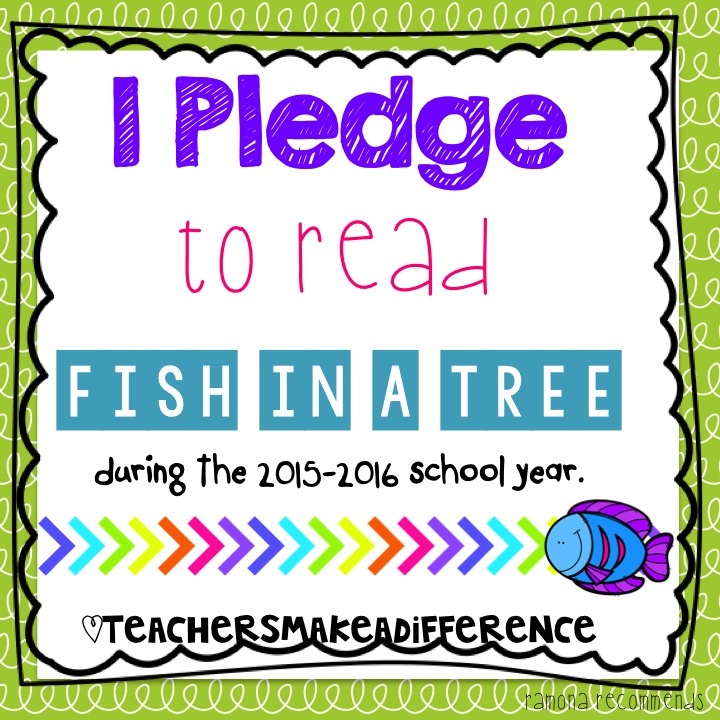 We just finished up book two of the Magic Tree House series, just in time to start Fish in a Tree. I can't wait to share this incredible novel with my class. It's Monday morning again, so time for some smiles :) Hopefully not just 1, but 2 smiles from these two cute videos. I love that singing and dancing are cool to kids. I especially am loving a cappella. Many of you have probably heard of Pentatonix, which is a fabulous a cappella group (I love to use to introduce polygons with with them--Pentatonix), but have you heard of the Filharmonics? They are a Filipino a cappella group from LA. They make me smile and think of my large Filipino population at my school--probably more the half of my school's student population. The little versions of the Filharmonics in this video are dancers from the LA dance organization called Mini Shock. Check out the Mini Shocks dance moves in the second video, though my advise is watch it on a computer so you can see their cute faces better. I am teacher from Saskatchewan, Canada. 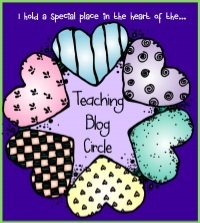 I have taught grades 2-6 and currently I am teaching grade 3/4. Teaching often makes me smile and think, "I can't believe I get paid to do this!"